Everything has to start somewhere, and this lens is where the Canon L Series started. Released in June 1987, this is the very first L Series lens, aimed at being the pinnacle of performance within the Canon system. 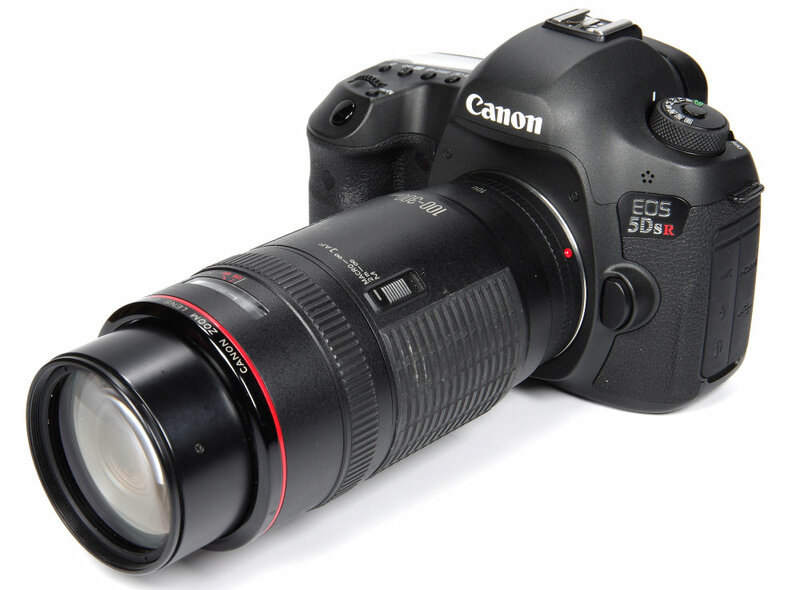 It is a full frame lens, so let's couple it up with the 50mp Canon EOS 5DS R body and see how it matches up and whether it is still a viable options after 32 years. 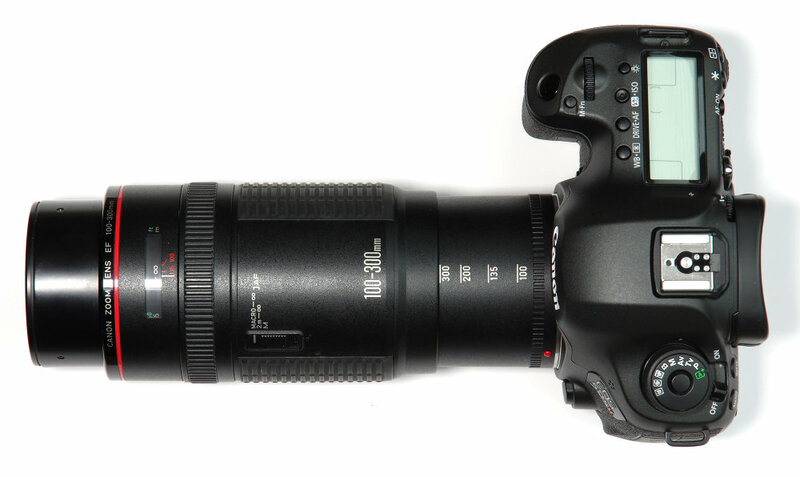 Weighing in at 695g, the lens is not over heavy and balances well with the 5D SR body. The sleek black looks good and the plastics involved are of high quality. Construction is of a very good standard. A lens hood was supplied when new, but sadly is now missing, so a screw in hood was used for the review. There is a standard 58mm filter thread. The first operational quirk is immediately apparent in that the lens front rotates whilst focusing. This makes life difficult for users of polarising or graduated filters, although to be fair they are less likely to be used with a telephoto zoom such as this anyway. The distance scale is beneath a clear plastic window, marked in both metres and feet. In common with some other Canon lenses even today, the metres scale is easily seen in white markings but the feet scale is relegated to a dull green that is much harder to view. 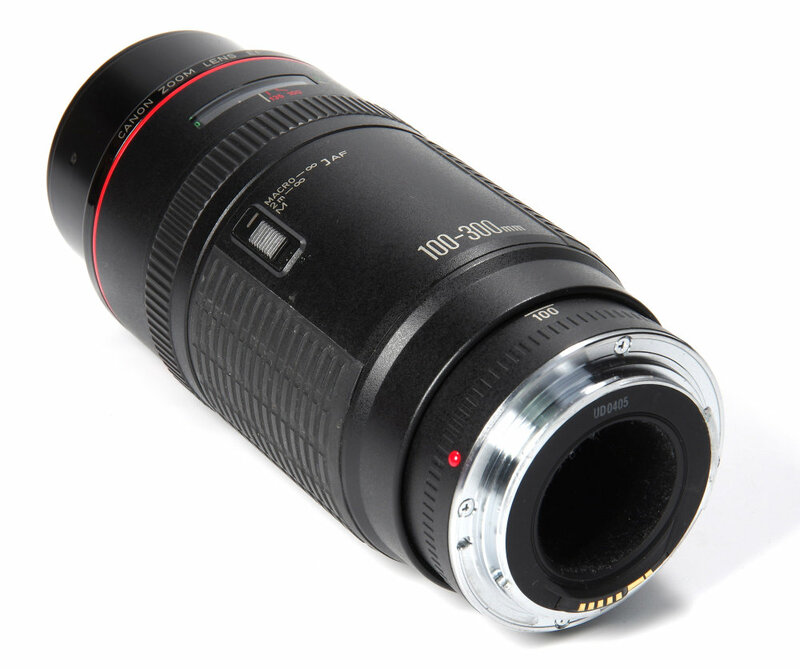 There are two Infra Red correction marks on the barrel, for 100mm and 135mm focal lengths. In a way this is a little odd in that Canon have sometimes not been particularly IR-friendly, even using IR light as a film transport counter at one point. This obviously precluded the use of IR film in such cameras. However, it may now be more useful again. Behind this is the narrow plastic manual focusing ring, which only operates when the lens is set to MF. It has a very gritty feel to it, but nonetheless it works just fine. Closest focus is 1.5m, or 4.92 feet. This is reasonably close, especially at 300mm, but hardly justifying the description macro. Focusing is set by a sliding switch, and has three options, full AF, a limiter to 2m-infinity or manual focus. Another oddity is that the whole zooming action is controlled via the entire lens barrel moving in a trombone action. There is nothing wrong with this per se, but anyone used to a trombone action manual focus lens will be expecting it to turn as well, to focus. Of course, as befits its era, there is no weather sealing, nor is there any Image Stabilisation, but we do have a fairly compact, light and very useful range in this lens. Modern zooms going to 300mm often start at 70mm or even 55mm, but for most subject matter this isn't much of a problem. The lens is actually really pleasant to use. Focusing is a bit jittery and not as fast or slick as more modern optics, but it still locks on reliably, every time. Optical configuration is 15 elements in 10 groups, with an 8 bladed diaphragm. There is one synthetic fluorite glass element, plus one Ultra Low Dispersion. In its day, this would be cutting edge technology. Using older lenses on newer cameras can throw up glitches, but this one reports its EXIF correctly and behaves like any modern Canon lens. Some third party lenses of the same era may need re-chipping to achieve this compatibility, if that of course is possible.